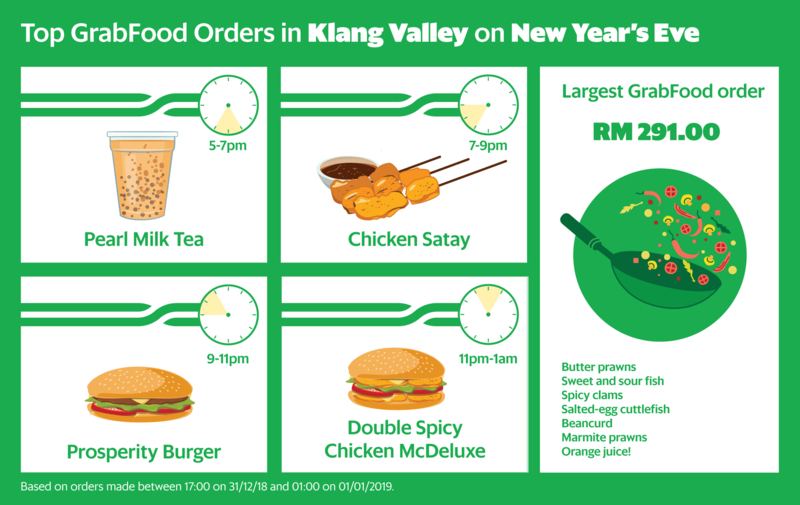 The most popular New Year’s Eve celebration spot in Klang Valley was Suria KLCC, which was the top drop-off and pick-up point of the night as revellers flocked there for the live music performances and dazzling fireworks set against the most iconic landmark in the country. In Malaysia, the most popular food items ordered included pearl milk tea, satay and McDonald’s Prosperity Burger. We also know that someone had a large seafood party because they ordered RM291 worth of food!